This story aired in the Stretch Your Dollar segment of KTRK Channel 13 Houston News on October, 2013. All the tips and products in the story, plus a few more, are listed below the video clip. 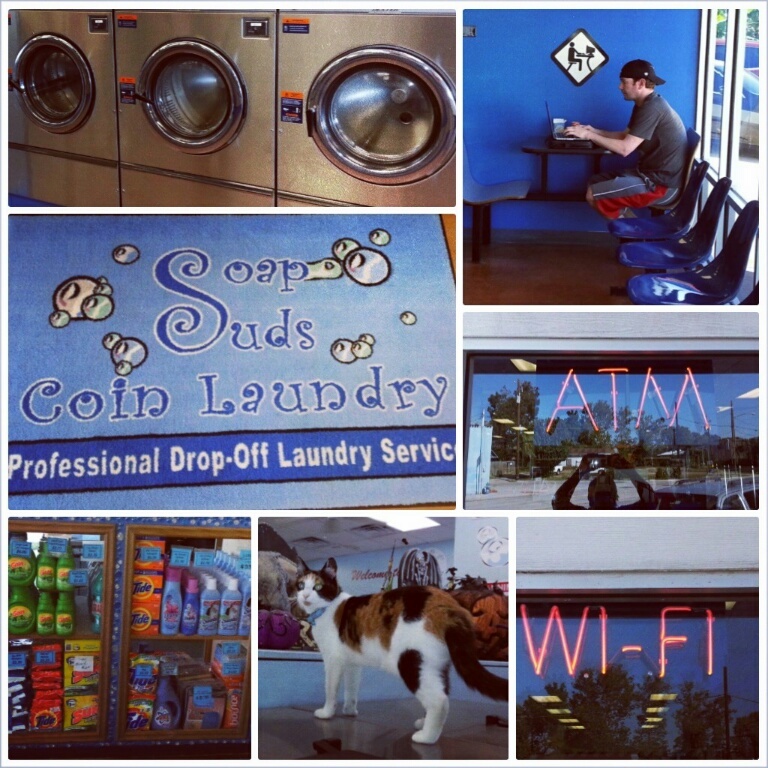 The story was filmed at Soap Suds Coin Laundry located at 4211 N. Main St., Houston, TX 77009. Thanks so much for watching! If you take a few extra precautions, you can extend the life of your clothes and keep them looking new for longer. Wash everything inside out, on gentle cycles, in cold water. – During washing and drying, clothes abrade when they rub together and twist in spin cycles, fade and shrink in warm or hot water and the heat of the dryer. Minimize wear by turning clothing inside out, washing and drying on gentle cycles and using cold water and low heat. Air dry – Dry clothes in the dryer for a few minutes to get the wrinkles out and lay flat or hand on a rack, hanger or clothes line to finish drying. Sort Your Clothes – Keep colors true and bright longer by washing likes with likes. Separate colors and fabrics before washing. Wash whites, lights, darks, and reds separately to preserve colors. Wash whites immediately after every wearing. – Perspiration, body oils, perfumes may not be visible, but if they stay on the clothing, they turn whites to yellows/grays. Wash white clothes in the hottest water that is safe for the fabric. Use bleach or borax for extra whitening. For best results, dry for a few minutes in the dryer and finish by hang-drying in the sunshine (sun will bleach whites and make them brighter). Close The Closures – Before washing, zip zippers, button buttons and turn velcro inside out to safeguard your garments. Open zippers, buttons and velcro can stress closures and snag other clothing during washing and drying. You can even put these items in a mesh washing bag for extra protection. Skip The Woolite – Regular detergent and detergents made for wool break down the elastic in delicate clothing, athletic wear and lingerie. Wash delicates by hand in the sink with a little Ivory Snow or Lingerie Wash.
Wash delicates in a bag – If you choose to wash delicates and lingerie in the washing machine, place your items in a mesh lingerie bag and wash in cold water on delicate cycle. Taking extra care with your delicates will keep them in great condition and make them last longer. Remove Signs Of Wear – As clothing wears, you might see pills, pulled threads, loose buttons and pulled seams. If you shave the pills, trim the threads and tighten buttoms and embellishments, your clothes will look newer. Skip fabric softener for fabrics make from bamboo – for some reason, fabric softener encourages pills to form on bamboo fabric. Protect clothes in breathable garment bags – dust can build up and bugs can attack clothing that isn’t worn often. Store these clothes in a breathable garment bag. The best bags are clear plastic on one side (so you can see what’s in the bag) and perferated plastic on the other side (the perferations allow air flow without letting bugs in). Plastic garment bags are better than cloth because small bugs can fit through the fabric weave and big bugs can chew through the cloth.